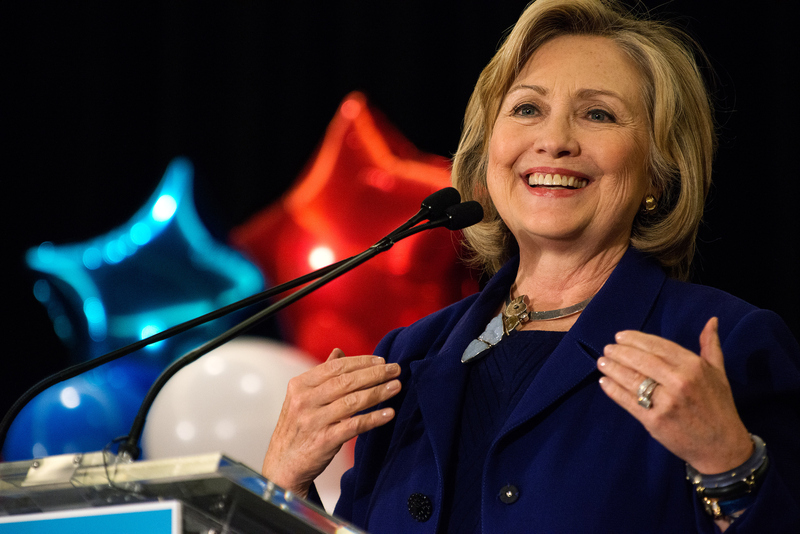 After months of waiting, wondering, and a few false alarms, Hillary Clinton has finally said it aloud: Clinton will be running for president in 2016, taking another stab at the historic achievement that she fell short of in 2008. It's nice to finally have the confirmation on this (even though we all sort of knew it already). But you might wonder why Hillary announced her candidacy now, when she had so many other opportunities to do so, and looks to be a juggernaut frontrunner regardless? Between them, Hillary and Bill have been in this national election business for over two decades now, and as such they've had their fair share of learning experiences. Obviously, Bill won both of his presidential elections, albeit under far different circumstances — would he have won in 1992 if not for Ross Perot? — but Hillary lost hers, so there's got to be some room to change things up. And a change it is! While there could be any number of reasons for why she decided to do this, this 2016 campaign will be getting off to a later start than her 2008 one did. She officially entered that race on January 21, 2007, two-and-a-half months earlier than she settled on this time around. Despite the late start, however, the move means that she'll be the first Democrat to make it official. And in all likelihood, there are potential costs and benefits alike to holding that position. As a former candidate with over 90 percent name recognition, and a former candidate and high-profile Secretary of State, she should probably be wary of burning people out on her image, though it's impossible to really judge whether a few less months up front would have that much of an impact. On the matter of that much-discussed "aura of inevitability," however, Bill has apparently been pretty opinionated — according to Reuters, he and her advisers have been stressing that she needs to avoid this perception at all costs, and considering she generated huge headlines whenever she announces, it could pay off to be seen as putting in some early, hard work before the field is settled. And according to the Washington Post, that early work could be a revival of a very successful past strategy — something in the mold of her "listening tour" during her 2000 Senate campaign in New York, downplaying huge events in favor of smaller-scale, more interactive settings. This sort of thing would probably never be easier to make time for than well before the Democratic field starts filling up, so this could simply be a case of Hillary wanting to get a leg-up on the competition. It should be fascinating to see how she ends up allotting her time, before any full-fledged rivals come out of the woodwork.